Founded in 2001, Ecyclingstore.com was started to provide you with the lowest priced cycling gear available on the internet. We search for the best buys and pass the savings on to you. If you can find any of our items listed at a lower price on another website let us know and we’ll beat that price. 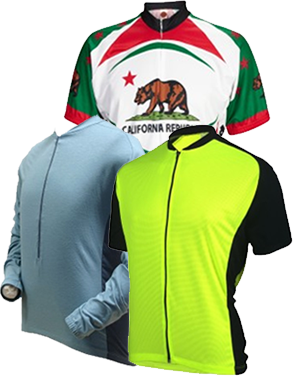 We have a particular emphasis on top quality bicycle clothing at aggressive prices. But it’s not just about price. We also have special relationships with a number of clothing manufacturers that allow us to snag new and unique items long before you’ll see them anywhere else. And our selection? Well just for a quick example, take a look at our cycle jerseys. Our selection is huge and growing. If you are unhappy with any purchase from Ecyclingstore.com, just let us know within 30 days of your purchase and we’ll refund, exchange, or credit your purchase. For info on our ordering security please visit our Customer Service page.